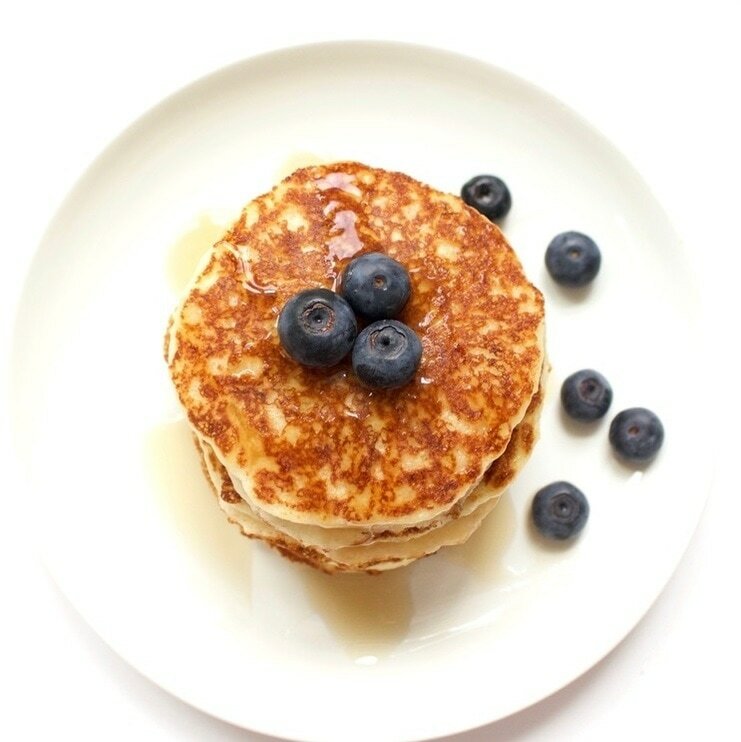 These banana pancakes taste absolutely amazing, you would never know that there are no eggs or dairy. A perfect quick & easy brunch or breakfast! 1. In a large mixing bowl add the mashed banana, cinnamon, oil and lemon juice. Now mix in the flour and gradually stir in the milk until fully blended and no lumps. 2. Place your frying pan over a medium heat, oil the frying pan by smearing the oil onto the pan with a sheet of kitchen roll. Spoon the batter onto the frying pan. Flip the pancakes very carefully when you see the bubbles have stopped opening and closing. Continue to cook until the other side of the pancake is cooked. This should take a couple of minutes each side. 3. Place the finished pancakes onto a warmed plate and continue the process. 4. Serve hot with maple syrup and berries. Enjoy!